Notorious drug kingpin Ignacio “Nacho” Coronel Villareal was not killed in an army raid in Guadalajara in 2010, as the Mexican government claimed and was widely reported at the time, according to acclaimed investigative journalist Anabel Hernandez. On July 29, 2010 the Mexican army said that Coronel, a leading figure in the powerful Sinaloa Federation, was shot dead after resisting arrest during a raid on his home in an upmarket suburb of Zapopan. But the fingerprints of the man killed did not match those of Coronel and doctors placed his biological age at 40 to 45, whereas Coronel would have been 56 at the time of his supposed death, Hernandez revealed in her 2013 book Narcoland, the updated, English-language version of 2010’s best-selling Los Señores del Narco. Known as “El Rey de Cristal,” Coronel was a close ally of Joaquin “El Chapo” Guzman and Ismael “El Mayo” Zambada, the two main leaders of the Sinaloa Federation. He ran the cartel’s operations in the Guadalajara area and was one of the most prominent players in Mexico’s crystal meth industry. Faking his death would have enabled Coronel to either slip safely into retirement or continue to go about his illicit operations undisturbed. The supposed killing also came at a time when the Felipe Calderon administration had been under pressure to demonstrate that it was not protecting the Sinaloa Federation while attacking its rivals. Throughout Narcoland, Hernandez makes a forceful case that the Mexican government was doing exactly that throughout the war on organized crime instigated by President Vicente Fox of the National Action Party (PAN) and escalated by his successor Calderon. 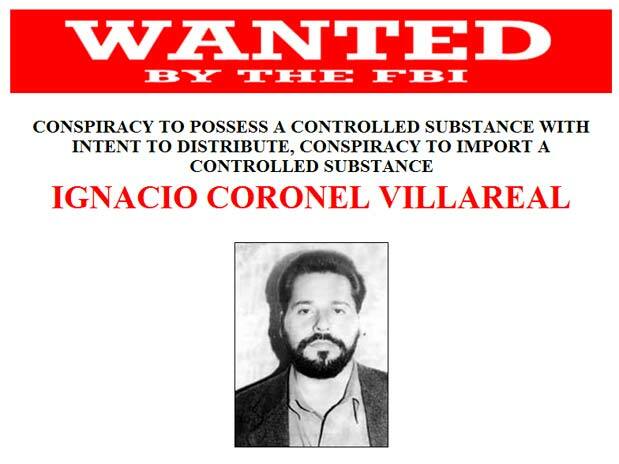 If Coronel did indeed fake his death then he may have been inspired by his former mentor Amado Carrillo Fuentes, a Juarez Cartel kingpin known as “El Señor de Los Cielos” or the “Lord of the Skies,” because of the large fleet of aircraft he used to smuggle drugs into the United States. Carrillo Fuentes is said to have died in mysterious circumstances while undergoing plastic surgery in 1997 ,but many people, including senior officials in the Mexican government at the time, believe that he is still alive, Hernandez reported in Narcoland.